This week Ford and GM announced they are joining the rush to make electric cars mainstream. But who will win the inevitable price war? After driving a couple of electric cars, I find it easy to see why General Motors and Ford have both announced this week that they are joining the race to make battery-powered vehicles mainstream. The cars I tested weren't fancy Teslas. They were working horse models, namely the Chevy Bolt and the Nissan Leaf, and it was clear that both cars are ready for prime time. Of course, Ford and GM are far from alone. The world's biggest carmaker, VW, has jumped on the electric vehicle wagon with its e-Golf. Tesla is starting to mass produce its Tesla Model 3. Volvo has already announced it is phasing out the internal combustion engine as soon as 2019. As the list of companies crowding into the electric vehicle sector grows and the list of reasons not to buy one gets knocked off one by one, it seems pretty clear that the EV market is ready for takeoff — except for one thing. Price. A look at the conditions surrounding a previous explosion in consumer adoption — the personal computer — means that could change abruptly. Peter Welsh drove his first electric car six years ago and speaks with the passion of an early adopter. "I don't think I saved a lot of money," says Welsh, who finally bought a first generation Leaf 3½ years ago. "But it's still to me a better drive, it's a better ride, it's more fun." When Welsh and his spouse Susanne decided make the leap to an EV, he had retired from his job as an Otis elevator mechanic, where he had experience with electric motors. "We would go in and modernize an elevator," says Welsh. "It would be 50 years old, and we'd change everything except the motor." Nonetheless, the couple moved cautiously, keeping track of daily trips with their gas-burning Mazda, and discovering that 99 per cent of those trips were safely within the electric vehicle's effective 60 km range. Even after they took possession of the electric, they kept the Mazda as well until they realized they had only used it twice in a year. 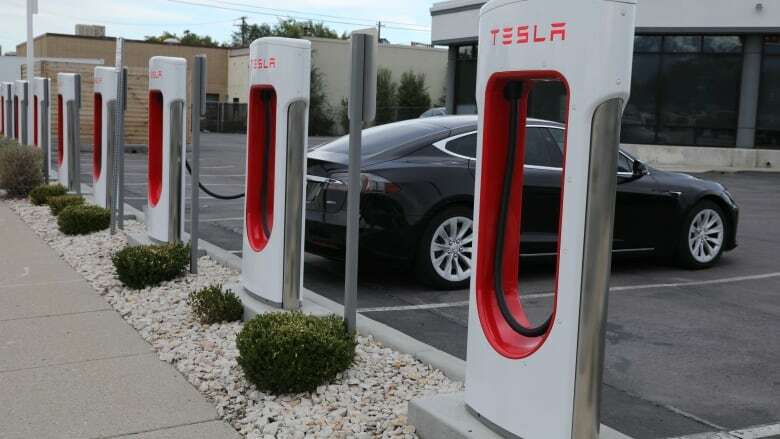 Charging costs, at about $500 a year, are a quarter the price of gasoline, according to the non-profit Plug'n Drive. That's like paying 25 cents a litre for gas. Battery life is proving long and repair bills negligible. Acceleration is better than internal combustion engines, something further improved upon by the Bolt that can handily beat rumbling gas engines at the light. The internal and external silence of both vehicles is astounding. With the Bolt's nearly 400-kilometre range and the proliferation of quick chargers, a winter trip to Ottawa or Montreal that early adopters like Welsh would have considered impossible is now run-of-the-mill. But for many people deciding whether or not to go electric, the price is still prohibitive. 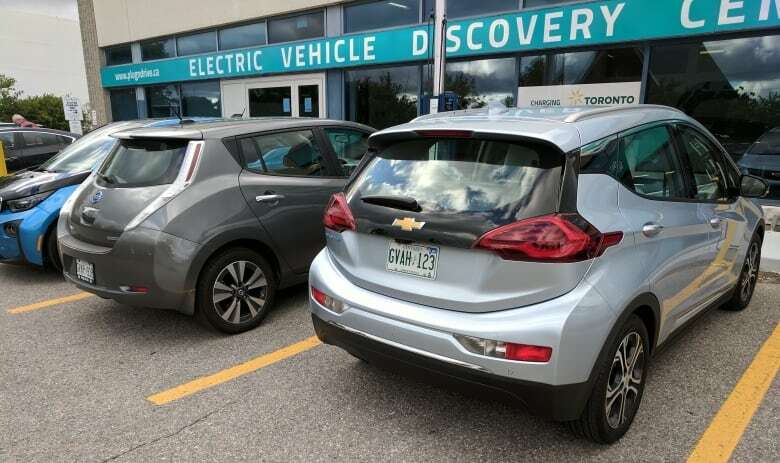 From the Tesla SUV starting at something over $120,000 and going way up, to the subcompact Bolt at $43,000 before taxes, the cost of an electric car still feels like highway robbery, especially in the majority of provinces without buyer-incentive programs. But there is reason to expect that is about to change. Syd Bolton remembers a similar time in the development and introduction of an earlier technology, the computer. Bolton, founder and curator of Canada's Personal Computer Museum in Brantford, Ont., describes startling parallels between the evolution of the PC and the electric car. "In the early '80s, there were so many companies that were making computers and so many of those companies are gone," says Bolton, whose extensive computer collection, open to the public one Saturday a month, survives on donations, by renting props for period films and consultations. In personal computers, as with electric cars now, he sees three phases, the invention stage, the standardization phase, and the shakeout phase where high cost manufacturers are weeded out. In the early '80s, for example, the Toronto-based Hyperion computer beat Houston's Compaq to the punch with a portable computer that sold for $5,000. According to the Bank of Canada's inflation calculator that's more than $11,000 in today's money. Early adopters were thrilled. The rest of us weren't. But in the early '90s, Compaq's newly installed CEO Eckhard Pfeiffer began to slash costs and prices, at the same time building up inventory to take advantage an expected surge in consumer demand for personal computers at the new price. Pfeiffer was right. With repeated price cutting, Compaq dashed to the front of the PC pack. "With rivals distracted, Compaq rolled out the Presario line of computers, which promised the company's well-regarded performance for only $1,400. Says Pfeiffer: "Customers just went wild," the business magazine Fortune reported at the time. By 1994, Compaq had become the largest producer of personal computers, bigger than Apple and IBM, only later to be dislodged by Dell with its even lower-cost mail-order business. As with any business analogy, this one is imperfect. Personal computers are not cars. But like 1990 computers, electric vehicles are ready for market, and yet so far consumer demand has been tepid. It seems almost inevitable one manufacturer will follow the Compaq strategy and transform the industry from high cost and low volume to low cost and high volume. It's risky. But this time around, the winner of a price war will not just eat the lunch of other electric car producers, it will also gobble a large share of the existing internal combustion market. And it is a price war where consumers would be the ultimate victors.